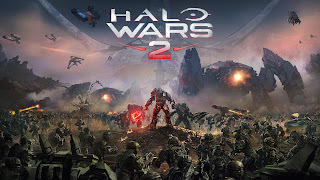 343 Industries’ Dan Ayoub unveiled a brand new “Halo Wars 2” trailer centered around Atriox and that anyone who pre-orders the digital version of “Halo Wars 2” Ultimate Edition will receive early access to “Halo Wars: Definitive Edition” with codes rolling out on Dec. 20. Atriox is the leader of the Banished, a dangerous new foe intent on controlling the Ark. Atriox is unique in that he is not only incredibly strong like most Brutes, but also deviously intelligent and is a brilliant strategist. Under his leadership, he’s drawn powerful figures such as Shipmaster Let’ Volir and Decimus to his side to help command his growing armed forces. “Halo Wars: Definitive Edition” is an enhanced version of the original “Halo Wars” that runs natively on Xbox One and Windows 10 PC, featuring improved graphics, additional Achievements and includes all of the DLC created for the classic real-time strategy game.